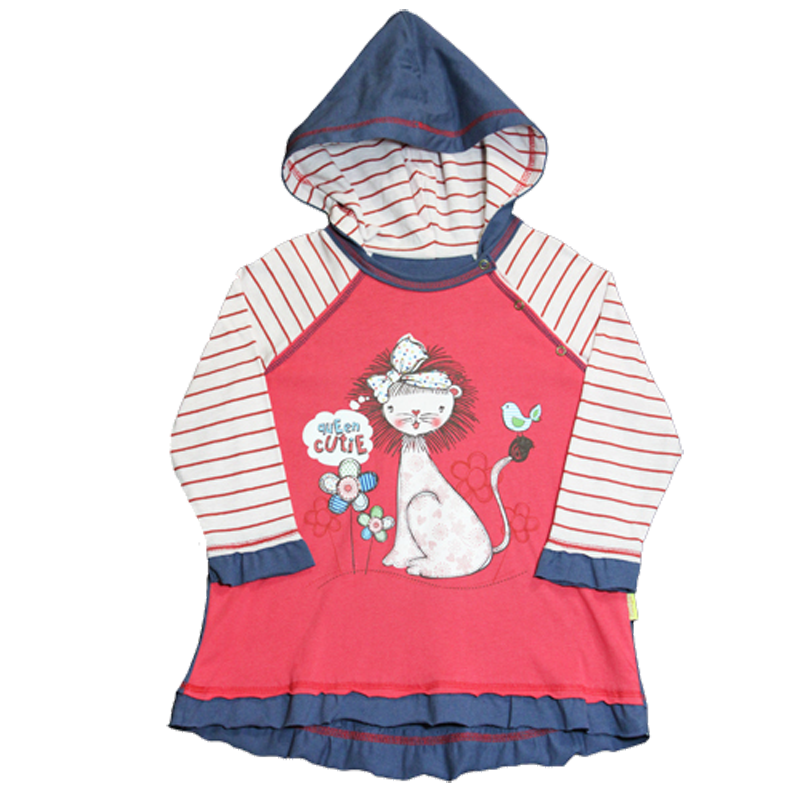 This is a long length, thin cotton long sleeve top with a fully lined hoodie in red, white & navy contrasting block & striped colours. A printed lioness adorns the front of this top. 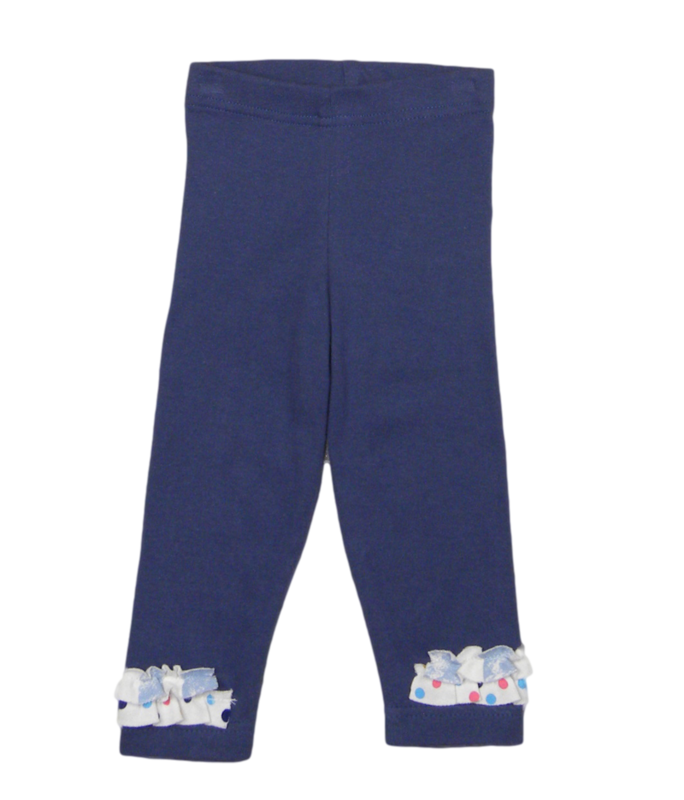 Our navy blue girls leggings, with matching ankle detail, finish this outfit off perfectly.